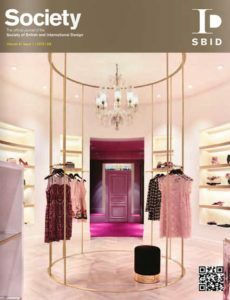 A new format for a new beginning: we are continuously reviewing what we do and consulting with our members, the industry at large and trend leaders to ensure we give SBID members and supporters what you want and need. We’ve listened to your opinions about where and when you like to read Society. We know that although many of you like to read it on your tablets and mobile devices on the move, lots of our readers still like to pick up a copy and prefer the luxury and touch of the paper edition. So after much consideration of content, frequency per annum and total pagination, we decided that the only thing that is not open to compromise is quality. There are now more ways for you to get involved so if you want to submit something for publication please contact us for guidance – we’d love for you to have your say.